Wendy Gasch’s Cogan presentation on Lash Lure and paraphenylenediamine, Charles Fritch’s on Stanley Truhlsen, and others are included in the back issues, which are available at https://www.aao.org/senior-ophthalmologists/scope. Cogan Society members V.K. Raju, Balder Gloor, Andrzej Grzybowski, Mark Mannis, Michael Marmor and Dan Albert have published new books recently. In the newly published second edition of Corneal Transplantation: A History in Profiles (2018) by Mark Mannis and Avi Mannis, the authors have provided a substantial update of the material originally published in the first edition, 1999. There is a new foreword by Ivan Schwab, new chapters on Jose Barraquer and Richard Troutman, and a comprehensive history of the development of contemporary endothelial keratoplasty. The book tells the fascinating story of the development of corneal transplantation over a span of more than 200 years, painting portraits of the great protagonists in the field. 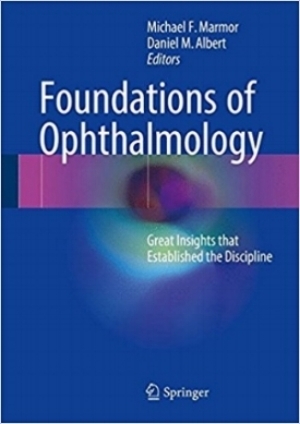 The book is published by Kugler Press in the Netherlands, ISBN 978-90-6299-466-3; it is part of the Monograph Series of Wayenborgh’s History of Ophthalmology. Michael Marmor and Daniel Albert's book Foundations of Ophthalmology, 2017, was published by Springer in the summer of 2017 (ISBN 978-3-319-59640-2). Cogan members Ronald Fishman, John Gittinger, Gerald Fishman, David Harper, James Ravin, Steven Newman, Balder Gloor, Curtis Margo, Norman Medow and Richard Keeler contributed chapters. Robert F. Heitz has published the third volume of his History of Contact Lenses (From Corneo-scleral Shells to Corneal Contact Lenses, 1920-1979) published by J-P Wayenborgh (ISBN 978-90- 6299-459-5). This title is part of the Wayenborgh History of Ophthalmology series. V.K. Raju's book Musings on Medicine, Myth, and History: India's Legacy, 2017, is published by the Eye Foundation of America (ISBN 978-0998518305; available from amazon.com). Balder Gloor's Augenheilkunde von 1899 bis 1954 gelebt und gezeichnet: der Nachlass von Dr. med. Arthur Gloor-Largiadèr in der Zentralbibliothek Solothurn, 2017 (ISBN 978-3-03754-097-8, published by EMH in Basel) is available from amazon.de. Andrzej Grzybowski and Piero Barboni also have edited a new book: OCT in Central Nervous System Diseases: The Eye as a Window to the Brain, 2016 (published by Springer; ISBN 978-3-319-24085-5).